A traditional alcoholic drink originating in Central Mexico, pulque is an essential predecessor to tequila and is still produced locally in Mexico today. Pulque is at least 2,000 years old, with origins squarely cemented in Aztec culture. In fact, pulque is considered by many to be the Aztec drink of the gods – this despite its milky, frothy consistency and acidic scent. It’s not as a strong as tequila or even mescal, though all three beverages come from the same family of plants. However, pulque is different because the drink is fermented rather than distilled. Produced from the sap (or agave) of maguey plants, which can take over a decade to fully mature, the aguamiel is either fermented within the plant itself or at a “Tinacal” or production facility. Pulque was traditionally used in the Indian civilizations of central Mexico as an intoxicant for priests and a sedative for victims of ritualistic sacrifices. Pulque was also used as a medicine and a celebratory beverage for brave and wise individuals after an accomplishment or feat. Pulque has enjoyed a resurgence in Mexico over the past several years, with boutique pulquerias beginning to crop up once again in Mexico City and the surrounding areas. There were once over 1,000 pulquerias in Central Mexico, but the number dropped to around 80 during the 20th century thanks to the arrival and popularity of cerveza. 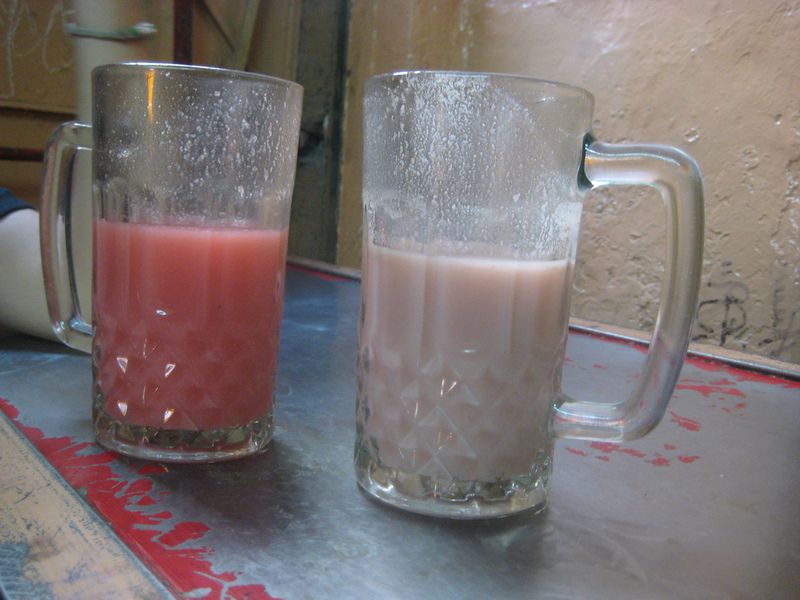 Pulque is considered to be a national beverage and one that is uniquely Mexican. Since its resurgence, pulque enthusiasts have introduced and enjoyed various styles of pulque: uncured, cured, and pure (the differences being the aging and mixing of the liquid during production). Cured pulque is generally mixed with fruit flavors, broadening the appeal of the typically strong and overwhelming drink. The next time you’re in the mood for great Mexican cuisine and a wide range of tequila selections, stop by Agave Cocina & Tequilas to learn more about authentic Mexican beverages and how they came to be in the modern age.